Christmas was out the way but in no way did that mean the festivities were over. With a fresh group of guests and with some finishing off their second week of fishing everyone was ready to end the year off with a bent rod and kick the New Year off with slime on their hands. Alphonse Island was a buzz of activity over the last few days with lots of guests enjoying: SCUBA diving, snorkeling and exploring the island’s beauty. 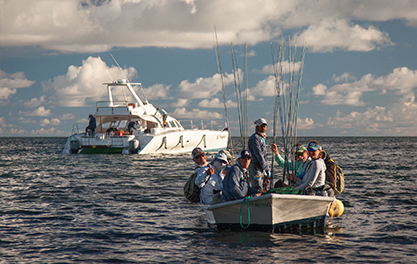 While all of this was going on our determined anglers headed out every day to try their luck on the flats. 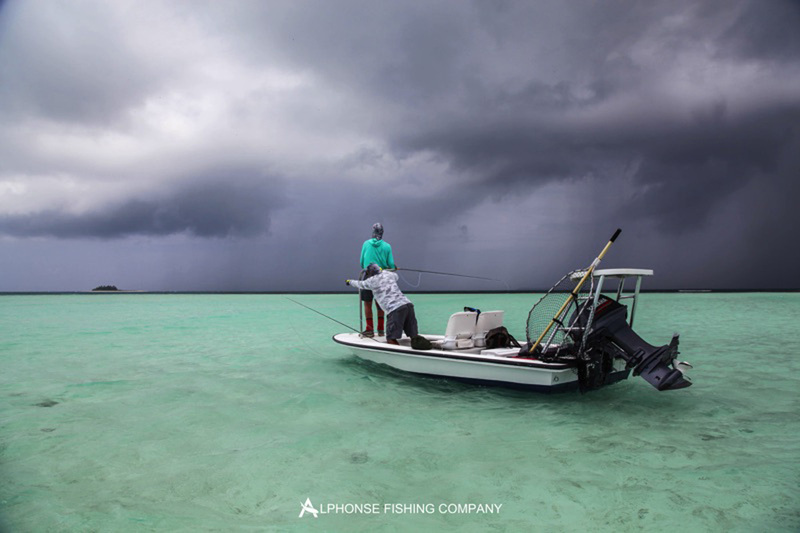 The weather unfortunately didn’t play along for us on the first day or two, making the fishing conditions very tough. A big localised tropical depression had moved over and made for a very wet start to the week. With some good weather on the horizon and the tides moving off a spring cycle everything lined up for great fishing for the remainder of the week. 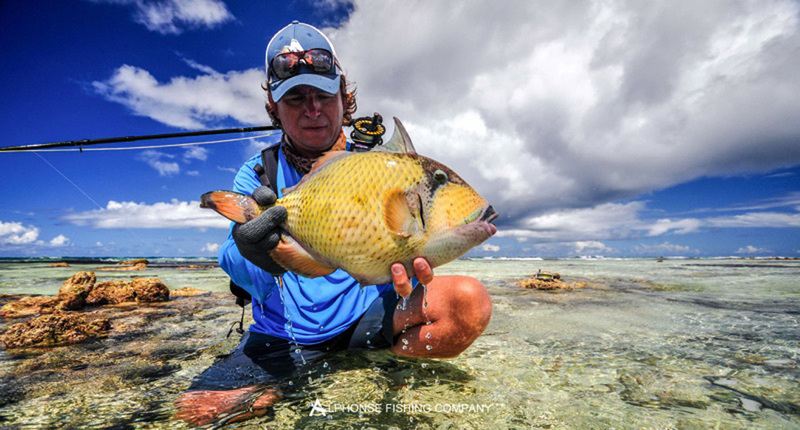 Some things are meant to be, Michael Herrerea spent the first of his two weeks trying to convince the triggerfish to eat the fly, after a good few eats and some fish lost the odds finally began to swing in his favour. 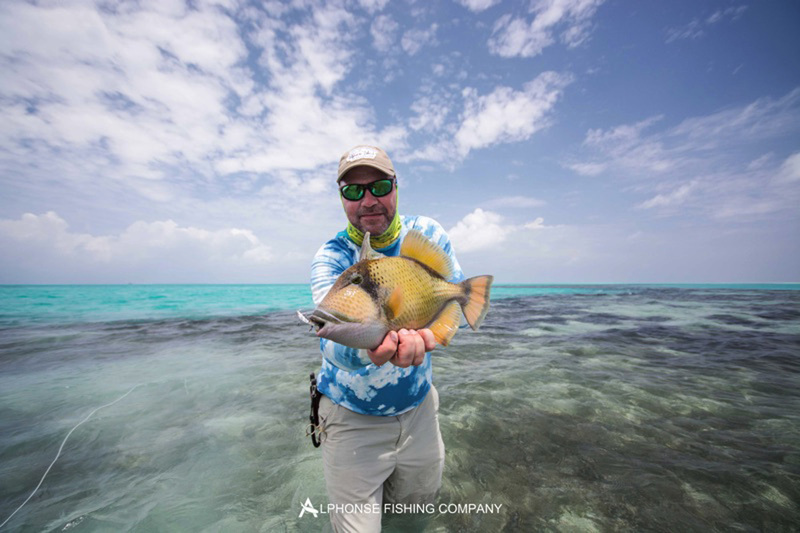 Michael kicked his second week off with an incredible day; he managed to close his triggerfish account with a gorgeous moustache. Not only this, he then went on to join the most prestigious club in fly-fishing, the Indo-Pacific permit club. This set the tone for the week, everyone had permit fever, and fortunately the fish were playing along, they were around to be thrown at and caught. Michaels luck was not out yet, later in the week he managed another permit, a big fish as well, estimated at an awesome 14lbs. 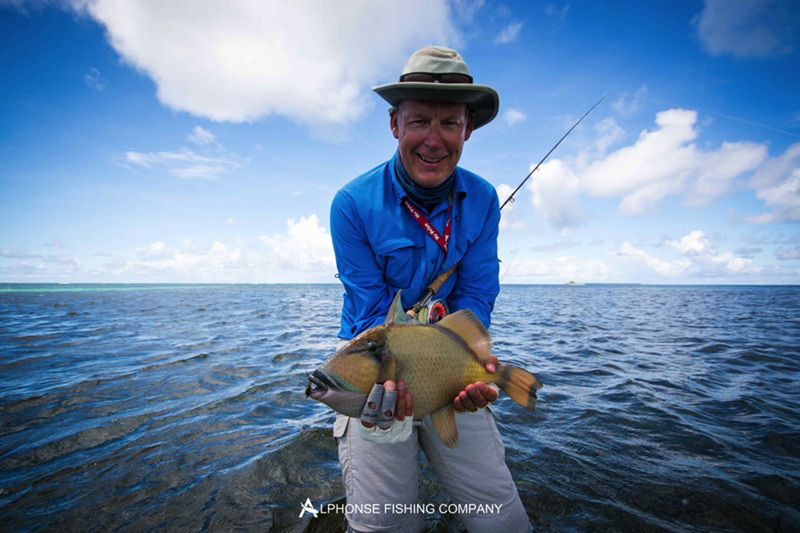 The next to join the club was Mika, with a perfect sized moustache triggerfish and his very own Indo-Pacific permit. No one could expect or predict what the first day of the new year would have to offer. With some good weather and high spirits, even if some of the guests were slightly worse for wear after the celebrations of the night before, everyone was chomping at the bit to get their first fish of 2016. 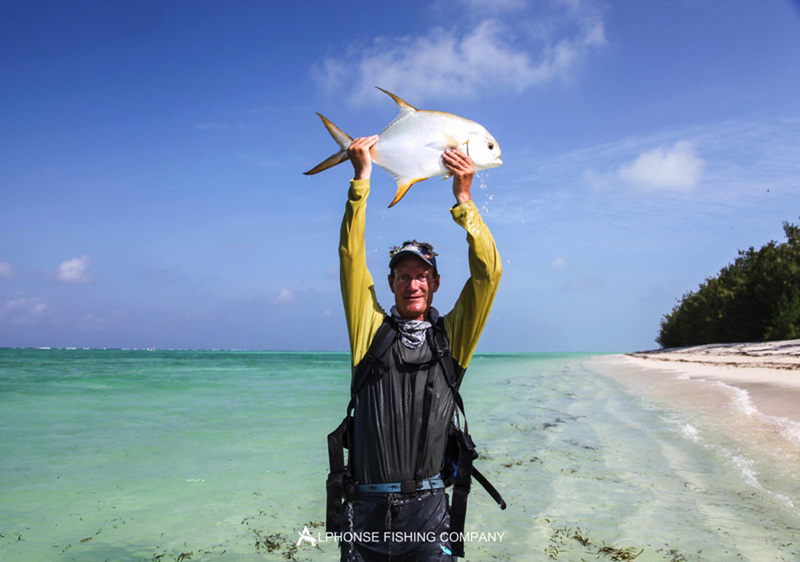 David Hall was first to bend his rod and he did it in style, landing his first Indo-Pacific permit. 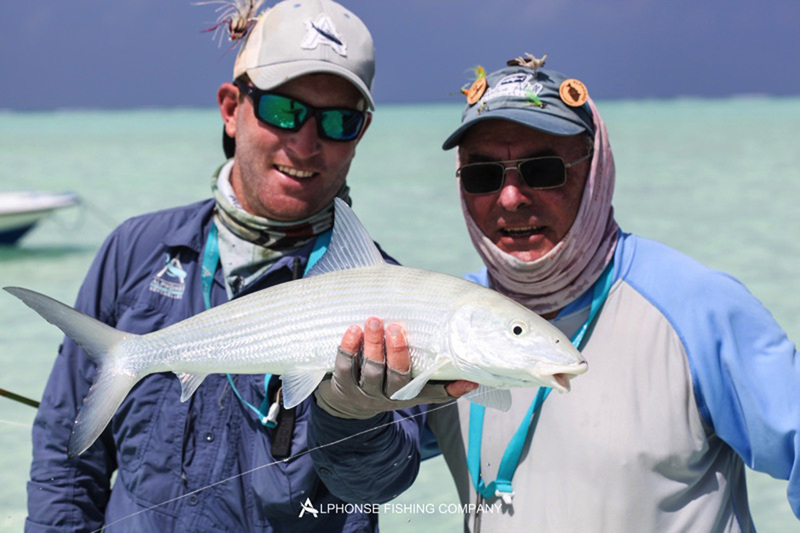 This fish is notably special, Dave has been fishing with us since 2002, he has fished all our destinations and this fish has eluded him for many years. Finally, the first fish of his year is a fish of a life-time. After this none of the fishing guides could believe the radio chatter, permit was the word on everyone’s lips. 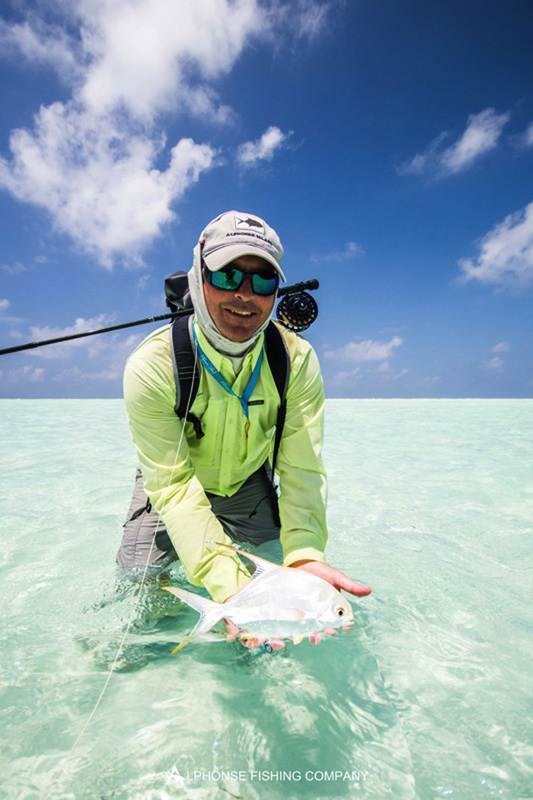 “Murray just landed a permit, copy…”, “No ways, I just got one with Oleg.”. 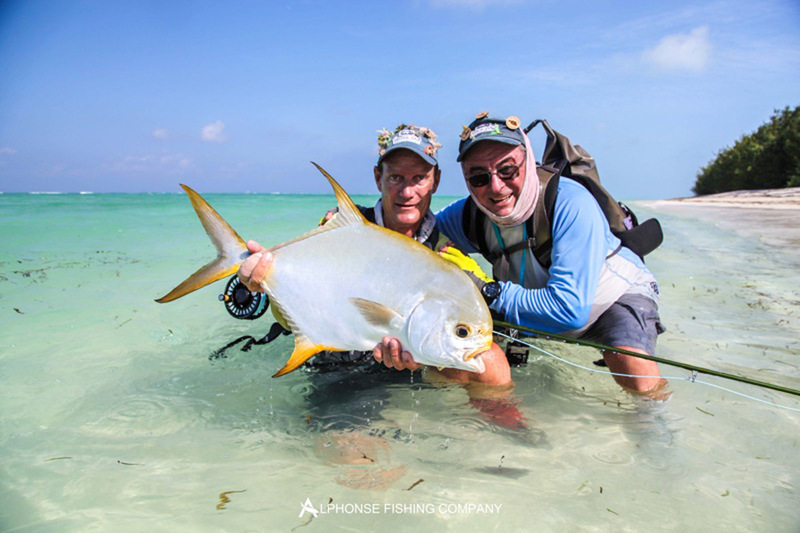 This is how the day went, Murray Collins with a beautiful permit, Oleg Veber with his first ever permit. Jan Hardecky joined the party with his fish and then lastly the youngest angler on the flats Leo Letho landed his fish in the late afternoon making it the fifth permit of the day, a record for St. Francois. 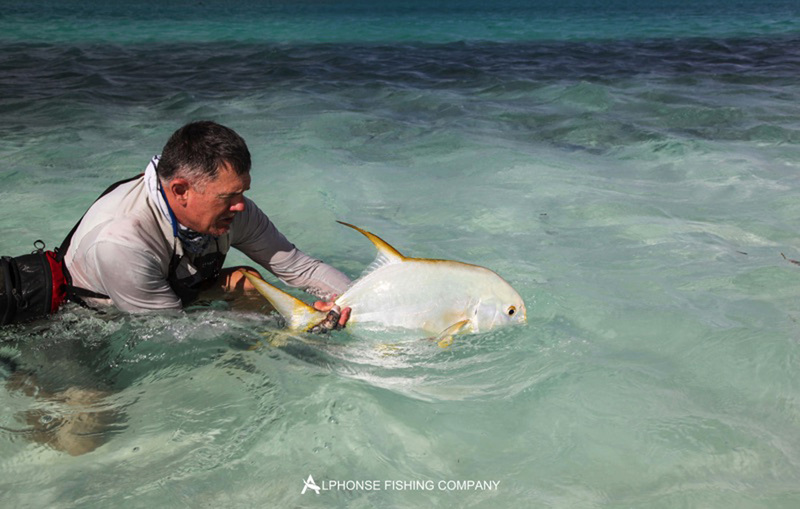 In any permit fishery around the world this is a remarkable day. 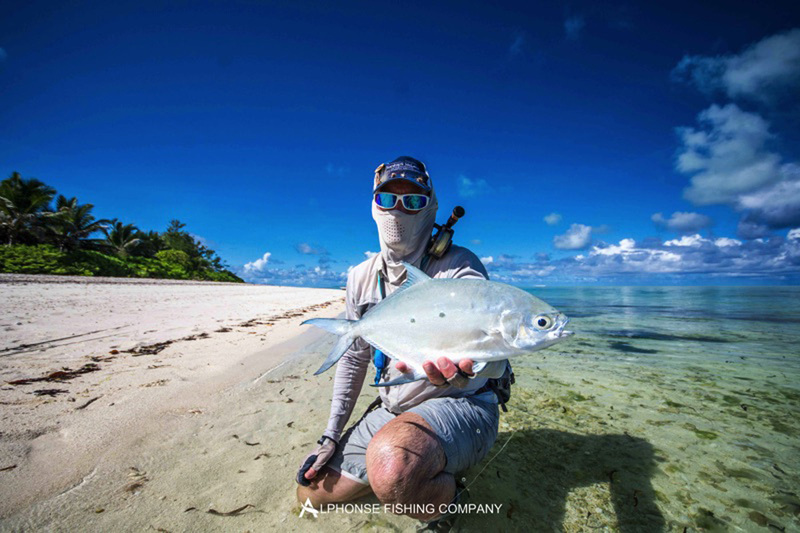 With the numbers of permit we have seen and caught this season it is fast becoming apparent that St François atoll is developing into a consistent fishery for Indo-Pacific permit. 27 fish landed this season so far as we approach the halfway mark of our season, this is more than double the number caught during the whole of the previous best season. What a start to the New Year. Let’s hope this is a good omen for the rest of the season and the year. We thank all our guests that joined us for the festivities of Christmas and New Years. 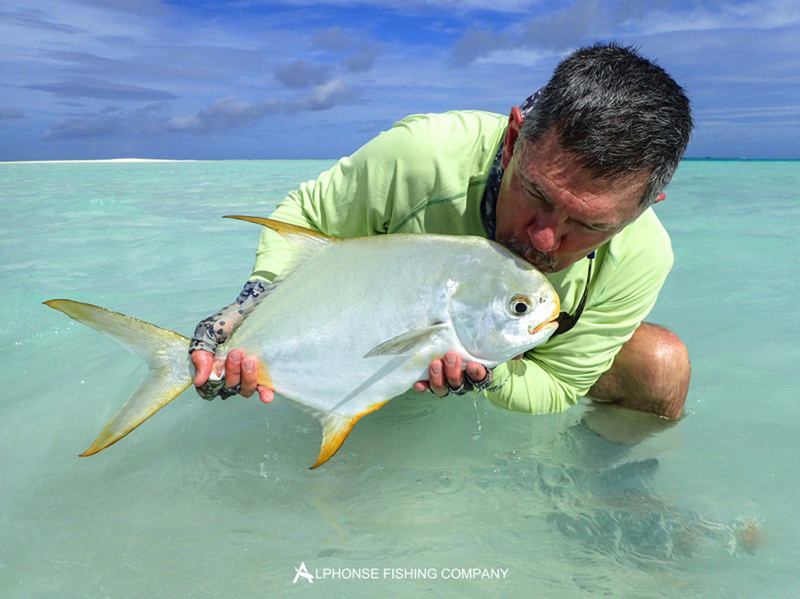 From the Alphonse team we wish you a fishy New Year and hope to see you out here soon.